3 Bedroom Flat For Sale in London for Asking Price £2,250,000. 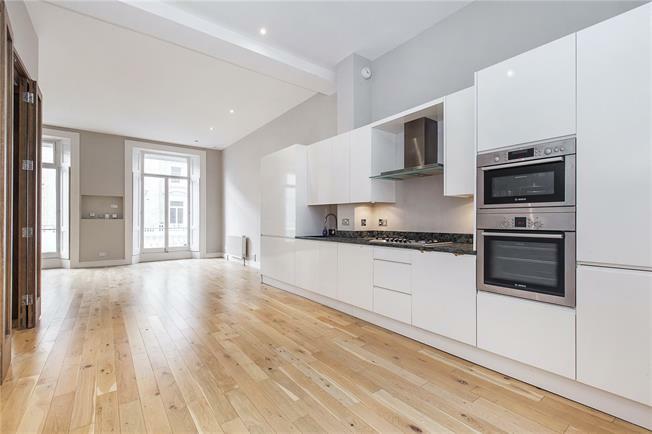 A spacious three bedroom duplex apartment arranged over the first and second floors of a former Victorian townhouse. A vestibule with storage, cloakroom and double doors, leads to a voluminous reception room with adjoining kitchen and dining area, both of which benefit from large sash windows and high ceilings. A few steps descend from the back of the kitchen to the rear of the property, which houses the master bedroom, ensuite bathroom and dressing room. Stairs from the master bedroom landing area rise to the second floor level, where a further two bedrooms and ensuite bathroom are located. Harcourt Terrace is set alongside the beautiful roads of The Little Boltons and Tregunter Road, and were built by local builders Corbett and McClymont during the Victorian property boom. This road is ideally located for the many shops, restaurants and amenties of Fulham Road and Hollywood Road to the south, the transport links of Earl's Court to the north, whilst the nearest underground stations are Earls Court (Piccadilly & District lines) and Gloucester Road (Piccadilly, Circle and District lines).